I was tagged by the lovely Malanie @ Malanie Loves Fiction. I only recently started following their blog (a month ago now, because this, has been scheduled) but I absolutely love their content and recommend you head over and give them a follow! I’m so excited to jump into the tag because there are so many fun questions so let’s just jump into it. 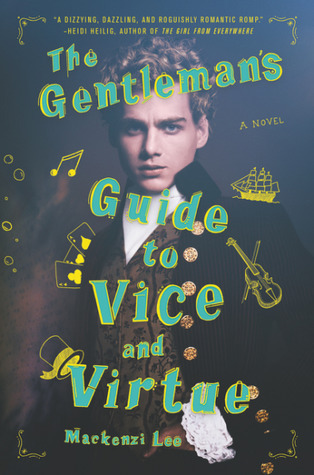 The Gentlemen’s Guide to Vice & Virtue by Mackenzi Lee (review). Monty is a bisexual and I believe Percy is gay? I would fact check me on that, and if I am wrong please feel free to correct me in the comments! I’ve read so many books lately with characters on the LGBTQIA+ spectrum that this was a hard choice but I absolutely loved this one so much. 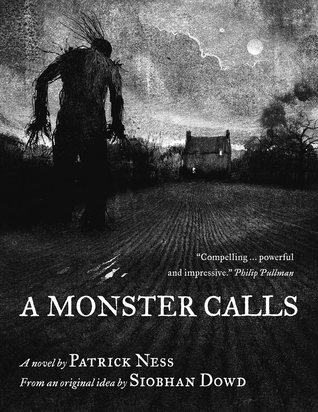 A Monster Calls by Patrick Ness is one of the most heart-wrenching books I’ve read. I read this book in one sitting at the foot of my mum’s bed because she hadn’t been well that day and I was a mess of tears. I’m here to say I’ve never read a classic book, oops. I literally have no answer for this one and I’m mildly embarrassed but at the same time, I give zero shits about classics. The answer for this one is easy as all hell. Cinder by Marissa Meyer. I wanted to choose a different answer but I am honestly struggling to think of any other retellings I may have read, it’s a mess. 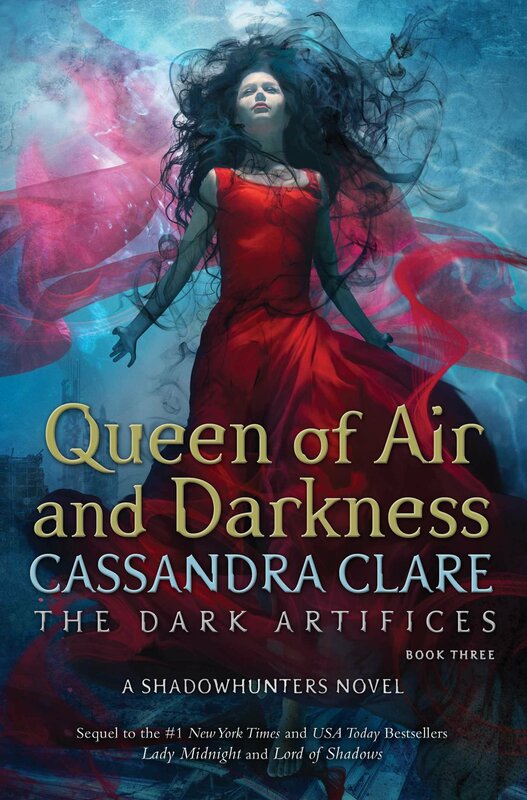 I say this so dang often but Queen of Air and Darkness by Cassandra Clare is my most anticipated released. Lord of Shadows broke me and I need the finale. I also absolutely love Cassandra Clare’s books and I will basically read anything she publishes at this stage. 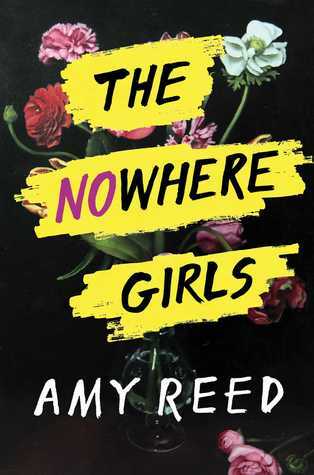 Not a character, but the book The Nowhere Girls by Amy Reed (review). This is a book where girls fight back and learn about feminism – finding that it isn’t a bad word. It does have a sexual assault themes throughout but it is truly one of the best books I have read! I’ve shouted about this one a few times now but, How To Make A Wish by Ashley Herring Blake. I highly recommend all of Ashley Herring Blake’s books even if you don’t like middle grade or young adult. These books truly stay with you and I will make everyone I can read them. To be honest, there are no authors I want to collab. I don’t think about it much. I’m just going to go with the ones that have come to mind now but just take them with a grain of salt. Cassandra Clare and Cale Dietrich → I absolutely love Cassandra Clare (as mentioned earlier) and I also really love The Love Interest by Cale Dietrich (despite the fact a lot of people didn’t). I think both their styles would mesh well together + Cale would provide an #ownvoices view on gay characters. Robin Roe and Louise Gornall → both Robin and Louise wrote books that left me in tears (A List of Cages and Under Rose Tainted Skies). Both their books are severely underrated but I feel these two coming together would be a power couple. I would also have to send them a bathtub full of my tears because I know they’d break me. Marissa Meyer and Rick Riordan → Marissa Meyer is the retelling queen and Rick Riordan is the master of mythology. Is there much else I can say? I think this pair would kill the game together. Cora Cormack and Talia Hibbert → two of the nicest people on Twitter and two of my favourite romance authors. Cora always has a depth to her books but occasionally I feel there is a spark missing, Talia Hibbert always has that spark and I feel the pair would make a fearsome duo. Morgan Matson and Adam Silvera and Angie Thomas → look, do I really need to extend on this one? These three are incredible writers who all have their talents in the field. I think combining all three of these talents would take the young adult community by storm. This was such a fun tag! It makes me want to pick up The Lady Janies series. Have you read any of the books in the series? Let me know in the comments what your thoughts were! Yay!!! So happy you did our tag and love how you changed up the feminist ideals question! I’ve never thought about it before but I agree that Marissa Meyer and Rick Riordan would be such a cool author duo. It would be really interesting to see what they thought up together! I’m glad you agree! It’s always so interesting to think of what authors would make good combos! oops i lowkey disliked the ‘Lady Janies’ series but that’s okay because this tag was super cool!! omg no chloe hahaha my hope for this series is lowering then! i’m excited to see your answers for the tag! I adored Gentlemen’s Guide! It was such a fun read for me and I breezed through it. A Monster Calls is probably one of my favourite books and I enjoyed the movie adaptation too! 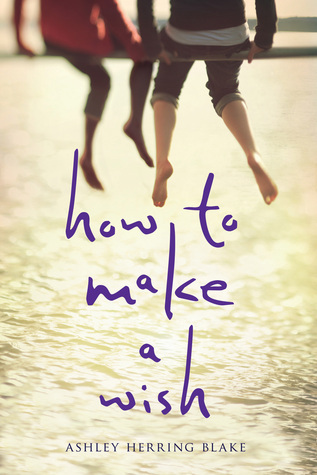 Girl Made of Stars by Ashley Herring Blake is on my TBR so I’ll definitely check out How To Make A Wish afterwards!